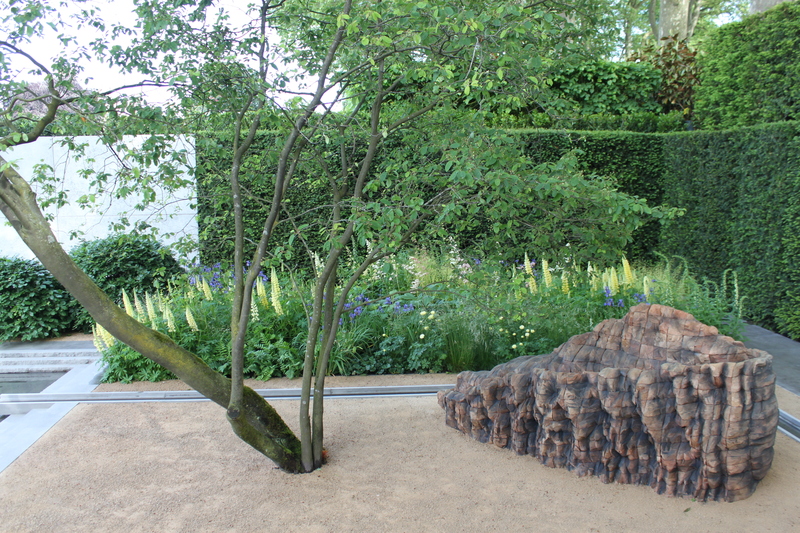 Every year we look for the recurring accent colour that seems to permeate through the Chelsea Flower Show. In past shows, we have seen deep red, white, copper and last year, orange being a recurring colour over the various gardens and stands. So what about this year ….. In 2014, we observed the recurring colour was lemon, particularly effective in colour combinations with blue and purples. 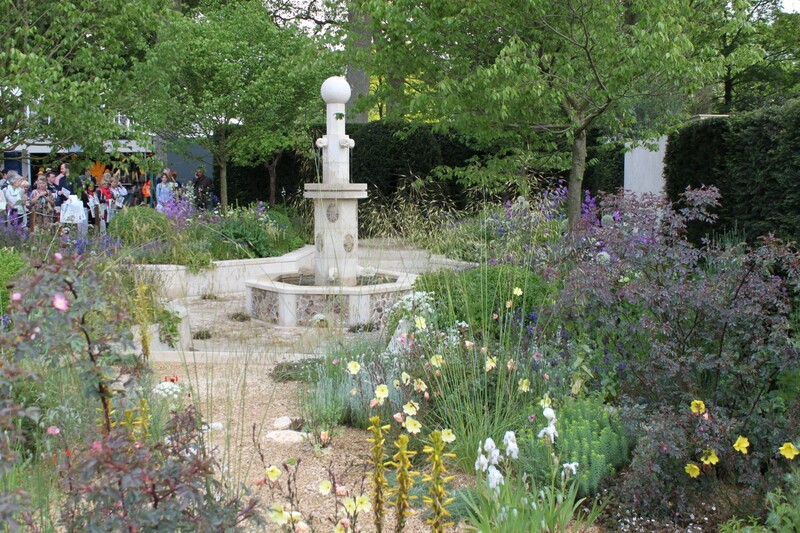 This was the principle accent colour in the Best in Show garden by Luciano Giubbilei, the upright stately lupins and trollius amidst the intense soft green planting. This wonderful garden had a calm serene feel to it whilst the lemon yellow created a freshness at the same time – a worthy winner of the ultimate accolade. 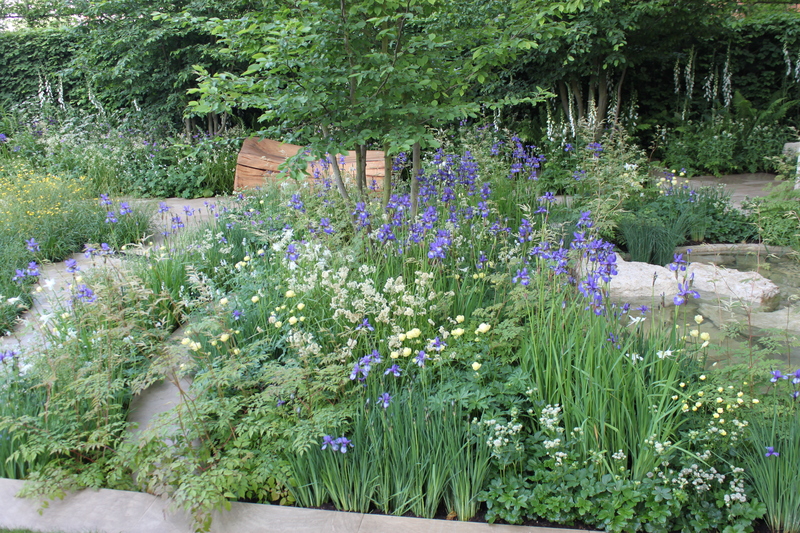 Again we see the use of pale yellow trollius, here planted amongst a variety of glaucus leaved plants to create this amazing planting scheme. 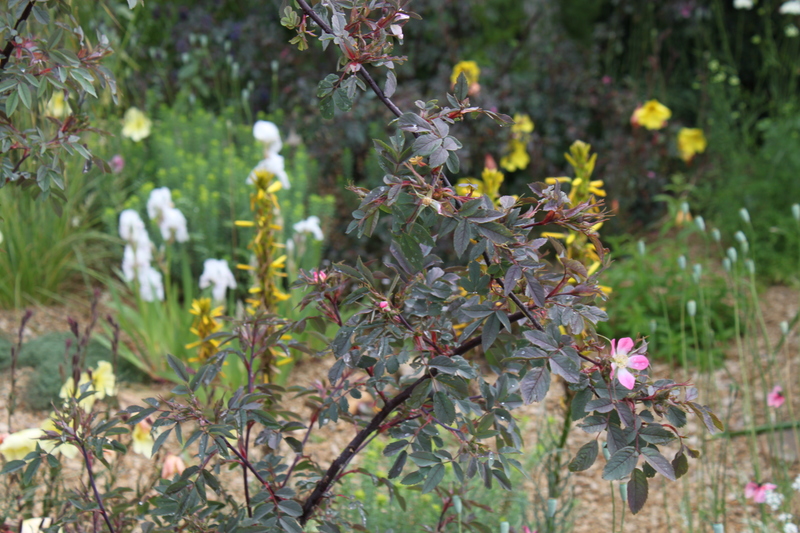 A highlight of these was the beautiful Rosa glauca. One of the oldest roses, often used as a wall shrub, Cleve’s inspired use of it as a feature plant was the talk around this garden. In Adam Frost’s garden, we again see the use of this colour combination. The use of lemon with the blue Iris siberica is inspiring, in this dense wild planting. Lemon was also common in the Pavilion. 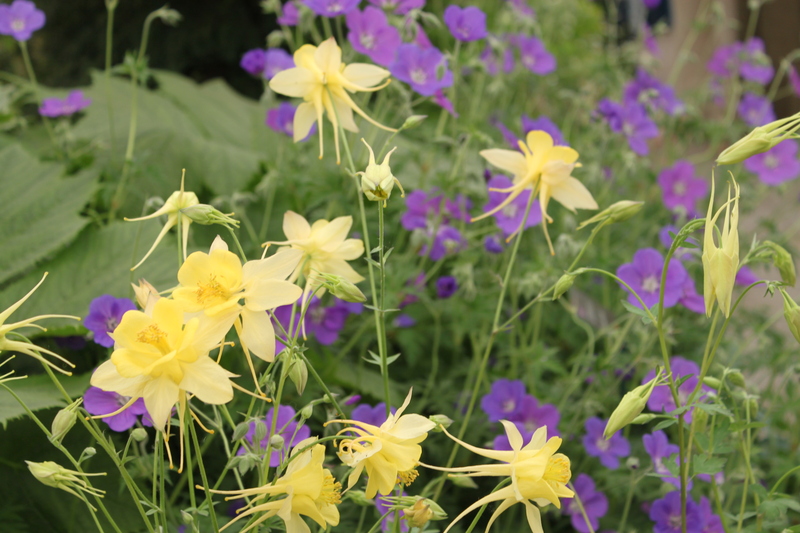 Aqualegia chrysantha ‘Yellow Queen’ on the Hardy’s stand is beautiful in this classic colour combination. 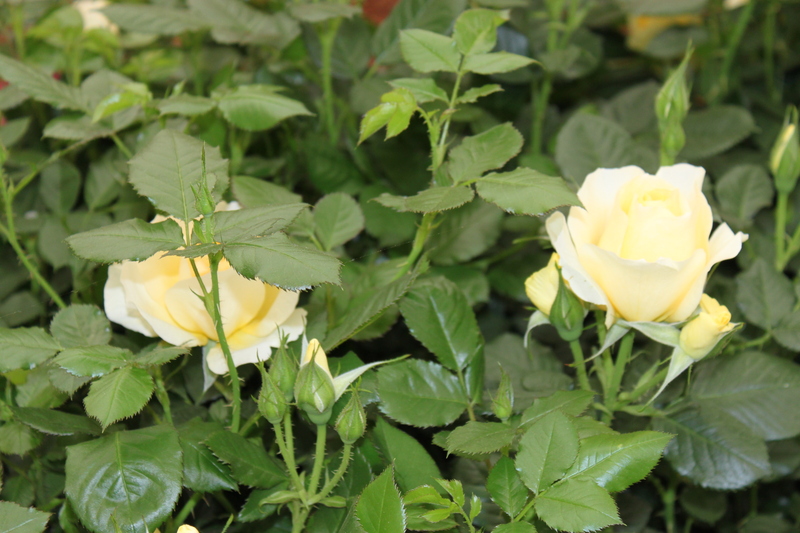 On the Harkness stand you can be guaranteed to find all colours but ‘City Livery’ stands out as a stunning rose. So another great year at Chelsea and planting that gets better and better.